This article has been updated; it was originally published at 8:29 A.M. SGT on Tuesday. Singapore’s market will start trade on Tuesday with a positive lead from Wall Street. The Dow Jones Industrial Average rose 0.87 percent on Monday, while the S&P 500 added 0.81 percent and the Nasdaq gained 0.70 percent. 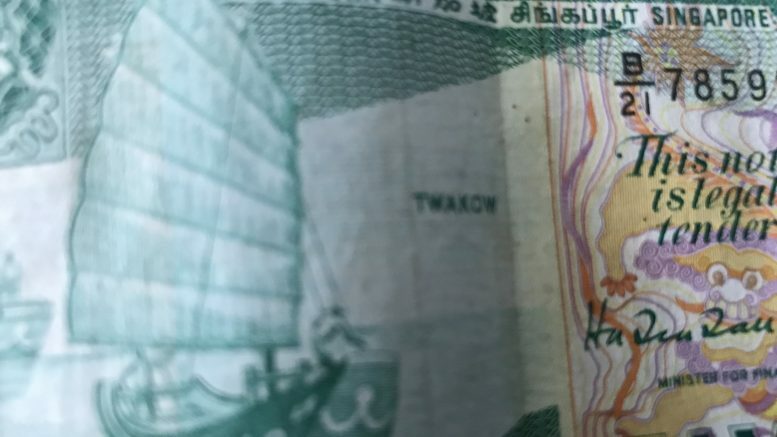 “This contradicts the Treasury Department’s decision to pass on labeling China as currency manipulator on Friday and suggests that underneath it all, President Trump wants to escalate rather than diffuse tensions with China,” she said in a note on Tuesday. Separately, Singapore’s non-oil domestic exports fell 2.7 percent in March, partly on a high base from a year earlier. Telco M1 reported its first-quarter net profit was stable at S$34.8 million on-year and up 8.3 percent on-quarter. Service revenue rose 3.0 percent on-year to S$184.7 million on higher fixed-line — both in the residential and corporate segments — and postpaid revenue. It said contributions from mobile data rose to 61.3 percent of service revenue, up from 54 percent a year earlier. That could be viewed as a confirmation of the telco’s efforts to shift its revenue mix away from text messages and voice, which have been waning. Shares of Ezion were set to resume trading after restructuring of its debt. The company also said in a filing to SGX after the market close that it was in talks with potential strategic partners and investors, including but not limited to China Merchants and Great Wall Ocean Strategy & Technology Fund LP. It said that was to expand its core liftboat business. Keppel DC REIT reported that its first-quarter dividend per unit (DPU) would be 1.80 Singapore cents, up 3.4 percent on-year after excluding the year-earlier one-off capital distribution; it was down 4.8 percent including the one-off. That translated into a 5.0 percent distribution yield, the REIT’s manager said in a filing to SGX on Monday. Gross revenue rose 17.9 percent on-year in the quarter and net property income was up 18.2 percent. Metro Holdings plans to expand its Indonesian presence by developing and selling two residential towers in Jakarta with partner PT Trans Corpora, the retail and property company said in an SGX filing after the market close on Monday. The development has an investment value of 1.33 trillion rupiah, or S$127 million, with Metro’s 90 percent commitment at around S$114 million, the filing said. The two towers will have around 1,400 apartment unites and 170 small home office units, the filing said. Noble secured founder and largest shareholder Richard Elman’s support for its restructuring plan after changing the terms to offer current shareholders 15 percent of the new company, up from 10 percent, and by offering him a board seat, the Business Times reported. The announcement was made during trading hours on Monday. Correction: This article has been updated to reflect the comparison period for M1’s results.